Why we should care about tooth wear. Unfortunately, there is nobody that can escape tooth wear, it happens to us all and is part of the natural ageing process. Although, in saying that, for some of us this is accelerated or more severe due to a range of different factors. This can be because of our dental health or a dental trauma, we can even be more susceptible to tooth wear just because it’s hereditary! So what happens when our teeth begin to wear and more importantly why should we care? This article has a look at the different types and causes of tooth wear, including physiological tooth wear (Bruxism) which is now affecting more than 6 million people in the UK! …the loss of tooth surface, which can be caused by tooth erosion, attrition or abrasion. It can affect many people in many different ways and is rarely just because of one reason. Our teeth are not only affected by our age but our behaviours, lifestyle and genetics. Sedation dentistry is a type of medication which can be used to ease patients fears and anxiety to allow a dentist to be able to carry out treatments as well as procedures. This type of tooth wear is caused by acid and there are a lot of natural acids in the food and drink we consume. Natural acids can be found in fruit, meat, fizzy drinks and more. When acid from food and drink is in our mouths and around teeth, it softens the enamel, which is the outer, hard layer of the tooth. Saliva neutralises acid however if this happens too often without proper cleaning, the tooth does not have a sufficient time to recover. This leaves the enamel soft, reducing its mineral content; meaning the tooth, can, therefore, be easily worn away. The definition of attrition is “the process of reducing something’s strength or effectiveness through sustained attack or pressure” and tooth attrition is just that. This happens through tooth-to-tooth contact commonly through clenching the jaw and grinding teeth. This is also called mechanical wear, and this is sustained pressure and or grinding which will eventually wear down the enamel. This can also happen because of misaligned teeth and bite. The difficult thing about this is that this can be done while you’re asleep as well as awake, meaning it is usually if always subconscious. Abrasion is very similar to attrition, however, unlike being caused by tooth-to-tooth contact, abrasion is caused by an external mechanical force. Examples of this is an abrasive toothpaste (this is used in lots of whitening toothpaste), hard toothbrush bristles, oral piercings – read more about oral piercings and oral health. Abrasive products act almost like sandpaper removing layers of precious enamel. Bruxism is a physiological condition, which causes tooth wear. I know what you’re thinking, what an earth does that mean? Well, bruxism is subconscious and can be described as a biological response. Let’s take a little look into what that is…. Something suddenly jumps out at you, you’re scared senseless and your heart starts pounding. Your body has gone into “fight or flight”, meaning adrenaline is pumping through your body. This is a biological response… are we still talking about teeth? Yes, yes we are. Fiddling your fingers or clenching your jaw is a biological response, like a coping mechanism or release and you may not even be aware that you’re doing it. Back to teeth – clenching the teeth and jaw or grinding the teeth is usually caused by stress and anxiety. New studies have revealed that 70% of bruxism cases are caused by stress and anxiety as well as 80% of Bruxism occurs subconsciously during sleep. In addition to this bruxism can also be caused by other sleeping disorders, read more about sleep apnoea. Bruxism is not limited to sleep and people can suffer from bruxism while they are awake in similar situations such as clenching their teeth when concentrating or under pressure. As bruxism is a physiological condition, this condition is significantly higher in those who indulge in psychoactive substances, that includes, caffeine, smoking, alcohol and more. Severe cases of bruxism can cause tooth wear through attrition and new studies have revealed that bruxism is becoming as common as in 1 in 3 adults. Find out more for information and treatment for Bruxism. Why you should care about tooth wear. 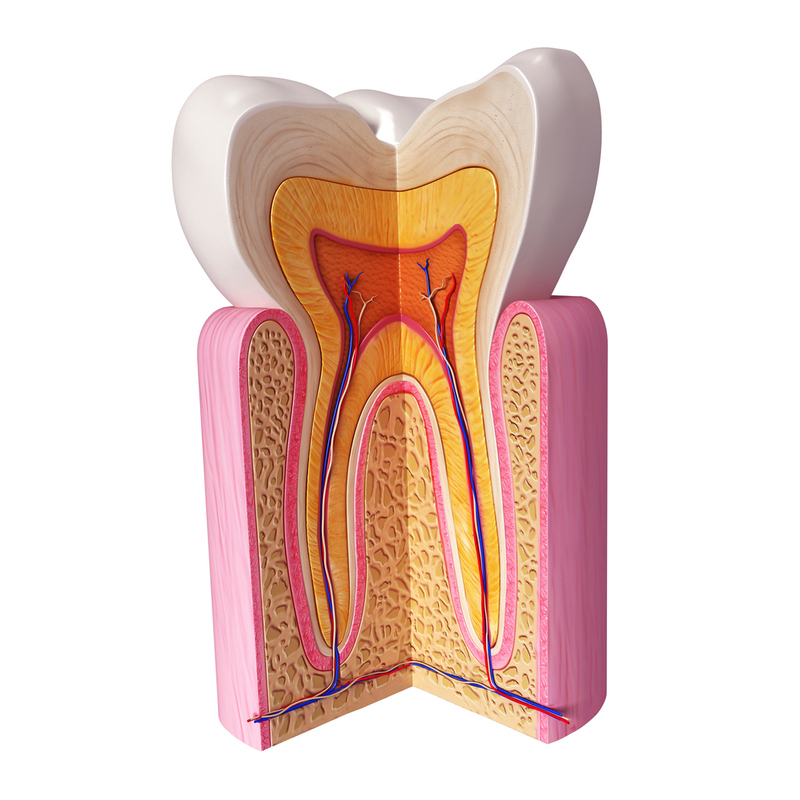 The hard outer layer of the tooth called enamel is there to protect the inner layers or the life of the tooth. Under enamel is dentin, which is not as hard as enamel and surrounds as well as connects to the tooth pulp. The tooth pulp is what’s keeping the tooth alive and contains all the nerve endings and blood vessels of the tooth. Tooth wear causes the enamel to be worn away exposing dentin and even tooth pulp. This can cause tooth sensitivity, tooth decay, which can eventually lead to root canal treatment and in severe cases extraction or tooth loss. Tooth wear can also cause teeth to become discoloured, chipped and reduced in size. Before any preventative measures can be taken against tooth wear, the treatment and restoration of the effects of tooth wear must be completed first. The most common way of restoring worn teeth is through composite bonding. This is usually a drill free procedure and no to little preparation is required. 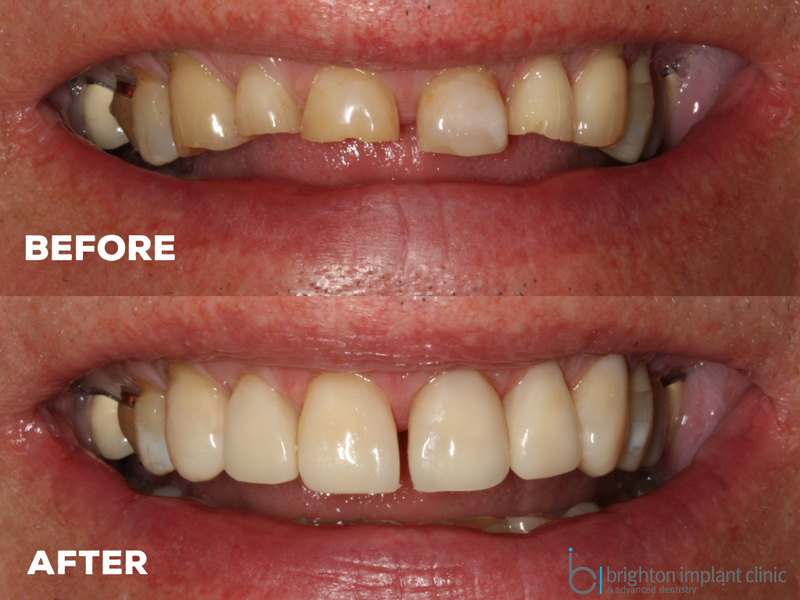 Composite bonding is a very effective way of repairing, broken, chipped, discoloured and worn teeth. It is a very versatile and resilient material, which can be easily shaped as well as sculpted to resemble real teeth. In severe cases, composite bonding may not be the best material for restoring tooth damage. This is where a ceramic restoration may be advised, to ensure the best longevity of the tooth. Once the teeth have been restored it is advisable to take preventable measures against tooth wear. This can be by looking at the type of products that you use, such as teeth whitening pastes as well as the toothbrush you use. Additional measures such as wearing a night guard can be made to prevent teeth grinding in your sleep. Above all the best person to speak to is your dentist! They will be able to give you the best advice which is tailored to you.